Remember that favorite pair of blue jeans? Like those jeans, that fit great 20 years ago, replacing aging safety equipment with the same model is likely not the best solution for ensuring a safer work environment. Customers often come to us when it’s time to replace outdated equipment and ask to purchase the exact same thing. The trouble is, a lot has changed in the years since the original equipment was purchased. OSHA standards have changed dramatically—from requirements that no gaps larger than 19” are allowed, to the regular inspection and maintenance of walking-working surfaces, and training of workers on fall and equipment hazards. 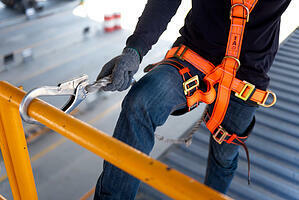 Does Your Fall Protection Equipment Fit Your Environment? In addition to regular maintenance and training, for fall protection equipment to be effective, it must “fit” in the current work environment. Changing traffic or loading patterns, newer equipment, or employees unfamiliar with operating procedures can all amplify the inefficiencies of aging equipment and create unsafe situations. It’s also important to consider that what works at one location might not work at another. A company with multiple facilities likely has to solve safety challenges specific to a location, so an in-depth understanding of each facility’s unique needs is required. Do you have a fall prevention safety plan in place that is updated regularly? Are safety hazards prioritized and addressed in a systematic manner? Are purchasing decisions made based upon the plan, changing requirements, and safety regulations? Are employees at all levels properly trained? Are procedures and equipment regularly reviewed, inspected, and maintained? 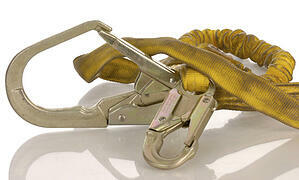 Carbis’ extensive experience enables us to readily assess your safety needs and recommend the most effective solution. We look at the big picture to ensure all of the moving parts are going to work well together. While it may seem like a safe bet to simply replace safety equipment that worked great two decades ago, it makes sense to look at it in the larger context of a comprehensive fall prevention program.